Could A Supergirl And Flash Crossover Happen Again? It’s finally happening, people. After so much waiting and anticipation, we will finally see the Flash team up with a Kryptonian on the small screen. The Flash and Supergirl crossover event has become one of the most widely anticipated episodes of this TV season, and our expectations are officially sky high. With so many people excited about these two DC heroes becoming acquainted, what are the odds that another crossover event could someday take place? Apparently, they are pretty good. We really had an amazing time making it. It was tough to juggle people’s schedules. The Flash is a busy man, but in success, we’d love to do this again. So while we have no guarantees of another crossover at any point in the future, the door remains wide open for one to occur. Crossing The Flash over with Supergirl represents a distinct challenge from a crossover with shows like Arrow or Legends of Tomorrow because it not only requires behind-the-scenes coordination with another network, but a logical rationale for how these characters would meet through the multiverse. Keeping that in mind, it seems incredibly likely that this crossover will see the sort of success necessary for another one to take place. Both The Flash and Supergirl have become two of the most popular superhero programs on TV right now, and the crossover between them has generated an insane level of buzz. With the multiverse becoming a more accepted part of the cultural zeitgeist, it seems only natural that these types of crossovers could and hopefully will occur more and more frequently. These crossover events have traditionally increased in size and scope with every passing occurrence. 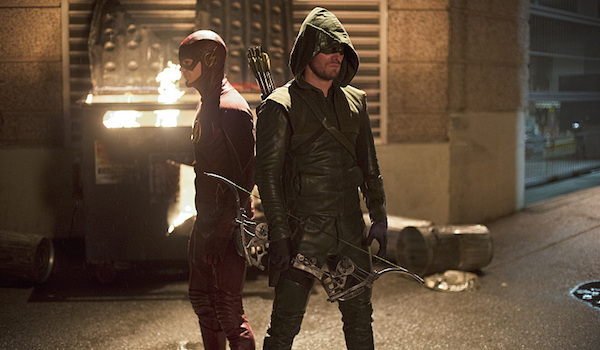 For instance, when Oliver Queen and Barry shared their first crossover, it was to merely show how they could work together. The following season, the threat became massive in the form of Vandal Savage and we saw their established rapport build into a genuine team dynamic. If another crossover between The CW and CBS does in fact occur, we can likely assume that characters like Oliver, or even Rip Hunter and the Legends might make an appearance in order to bolster the scale of the event. The possibilities are wide open. Only time will tell how the crossover between The Flash and Supergirl goes. Be sure to check out the landmark event when it airs on March 28 at 8 p.m. EST on CBS.